With a penchant for excellent service delivery and a commitment to high safety standards in upstream, midstream and downstream operations, the Chief Executive Officer of AI Energy Group, Mrs Abigail Asolage Harlley, was crowned with one of the most enviable awards of the night at the second edition of the Ghana Energy Awards – Energy Personality of the Year 2018 (Female). The Female Personality of the year Award is bestowed upon an outstanding person who has achieved extensive success and approval in the Energy sector through her actions and achievements that positively promoted the sector and Ghana as a whole. Mrs. Abigail Harlley received this enviable award because of her tremendous contributions and successes in the Oil and Gas Industry in Ghana over years. The awards ceremony which was organized by the Energy Media Group sought to acknowledge efforts, innovation and excellence stewardship and to celebrate the tremendous work of players in the energy sector. 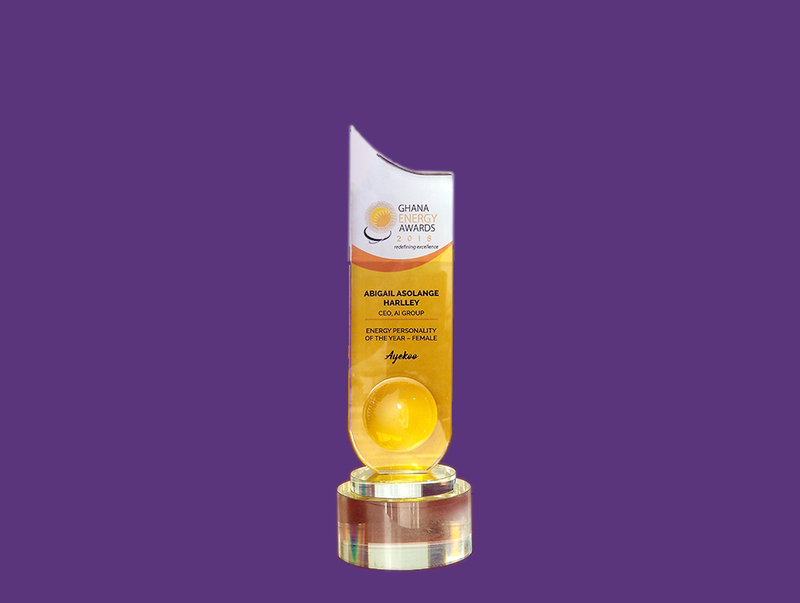 The Ghana Energy Awards 2018 honors were presented in over 20 categories, including CEO of the Year, Industry Leadership Award, Energy Company of the Year, Rising Star Award, Best Energy Reporter of the Year, Emerging Energy Company of the Year, Brand of the Year, Lifetime Achievement Award, Corporate Social Responsibility Company of the year among others. Mrs Harlley dedicates the award to all her customers – both internal and external – without whose support and contribution this feat would not have been possible and pledges her relentless efforts in upholding the trust posed in her by all stakeholders.